Baton Rouge Prepares for Blizzards in July! – Dairy Queen Corp.
Baton Rouge Prepares for Blizzards in July! 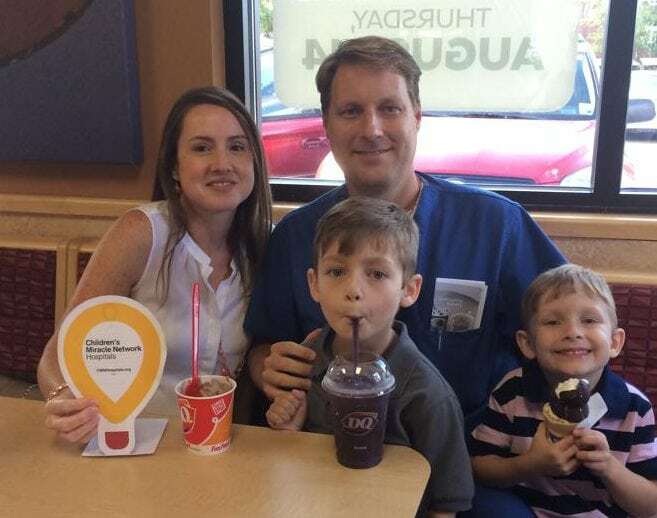 Treat your family to #MiracleTreatDay for a Blizzard Treat this Thursday, July 27! On Miracle Treat Day, $1 will be donated for each delicious Blizzard Treat purchased at the Dairy Queens located on Sherwood Forest Blvd. in Baton Rouge and Juban Road in Denham Springs. Eat dessert first, help the kids! 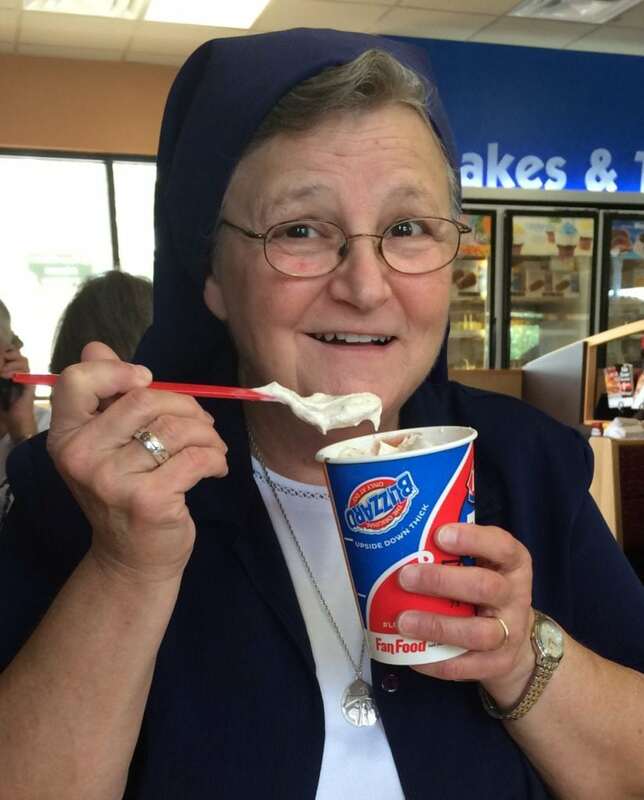 Sister Martha Ann Abshire of the Franciscan Missionaries of Our Lady enjoying her favorite blizzard during #MiracleTreatDay 2016. Purchase your favorite Blizzard Treat, and help us build our freestanding Our Lady of the Lake Children’s Hospital, set to open in Summer of 2019! You can watch the live camera footage of the construction here. Next post: #MiracleTreatDay is TOMORROW!